Cantilena - Website of cantilenachoir! 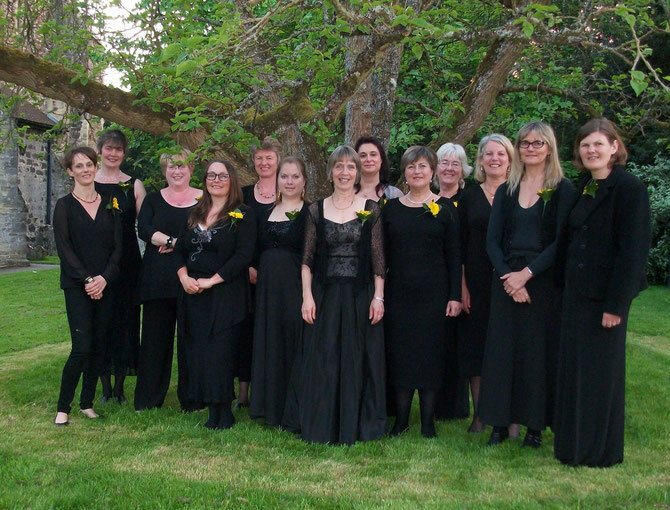 Cantilena is a small chamber choir for female voices based in the Horsham/Cranleigh area. Many of the singers are music teachers and most play an instrument to a high standard: all have a love for singing and a desire to tackle a wide and challenging repertoire. Since their first concert in February 2010 they have performed plainsong, medieval carols, renaissance polyphony, madrigals, romantic partsongs, music by Charpentier, Mozart, Mendelssohn, Brahms, Elgar, Britten, Malcolm Singer and John Tavener as well as Bob Chilcott’s popular Little Jazz Mass and a variety of barbershop arrangements. Cantilena has become known for atmospheric presentations of interesting and well-performed programmes. An audience member said 'You made our small church sound like a cathedral'. Cantilena is also available for weddings and functions. Forces can vary from a soloist, duet or small consort to the full ensemble including instruments. On our photo page you will see a photo of us with a very young Will Duerden and his double bass. We have always been proud to have been part of one of his first performances as a bassist but even more so since he made it to the string finals in this year's BBC Young Musician. He was majestic!! Well done Will!